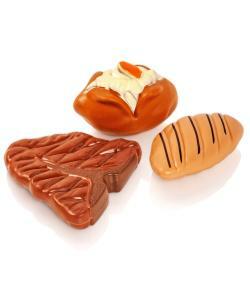 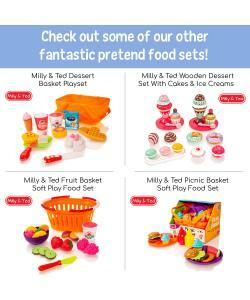 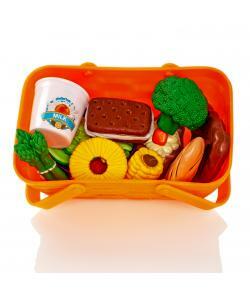 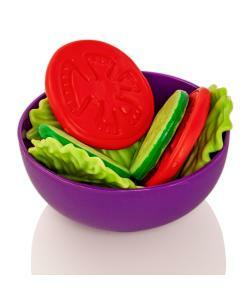 Take your dinner anywhere with this great Carry 'n Go soft play food basket set by Milly & Ted. 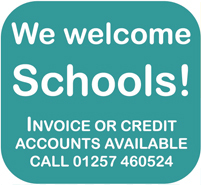 Feel the Quality - Just one touch is all it takes to feel the difference in quality. 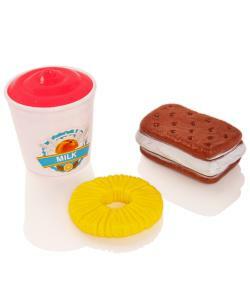 Each piece is soft too touch. 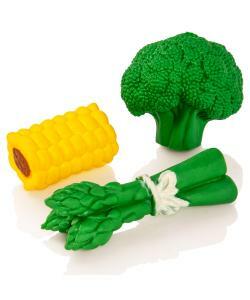 Made from a safe, washable and crush-resistant rubber material, these play pieces are unlike any other early learning toy. 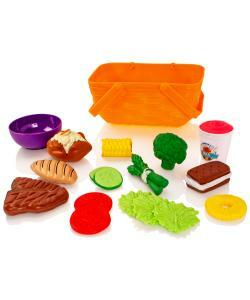 The sturdy plastic basket comes packed with 17 pieces of dinner time essentials with a bowl, milk carton, chicken fillet, brocoli, sweetcorn and much more. 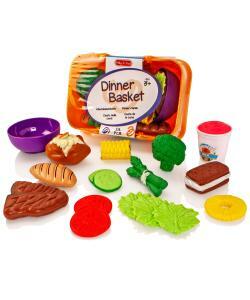 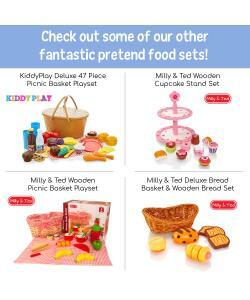 Perfect for fun pretend play, children will love using their imaginations to act out a real life dinner time.